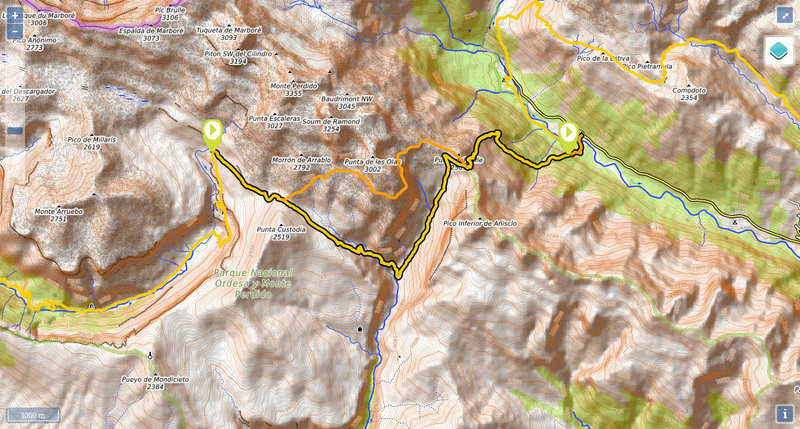 Distance/elevation: Via Faja deras Solas: 11.7 kms / (+760),(-1.700). Via Fuen Blanca: 13 kms / (+1.140),(-1.970). 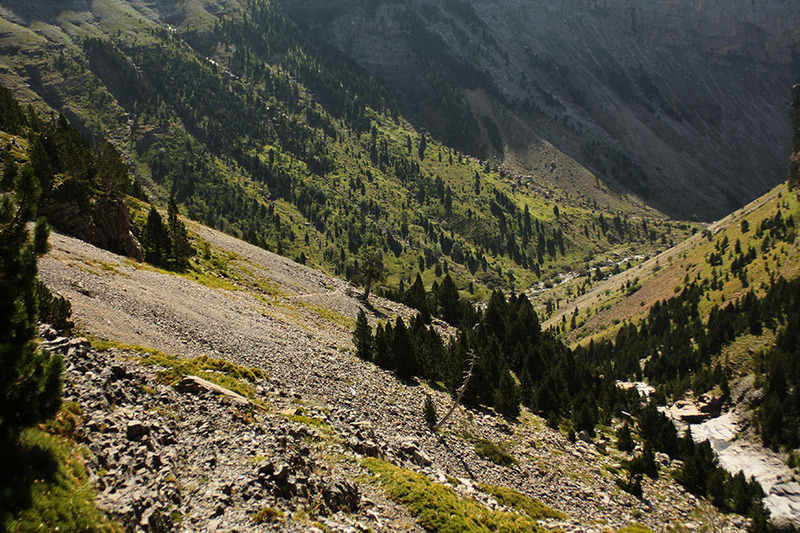 Difficulty: there is a steep final descent (1,200m) to reach Pineta mountain refuge. 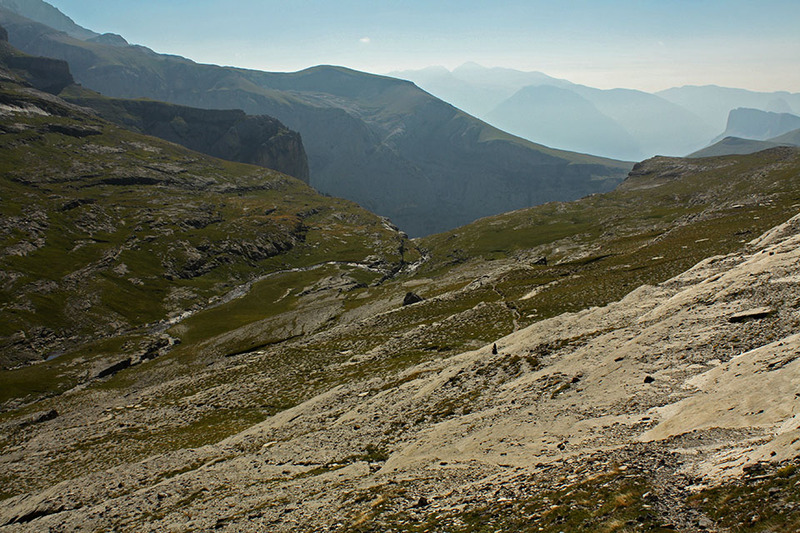 The route via Faixa deras Solas is exposed and hazardous in adverse conditions. It should be avoided if snow or ice are present, or even on wet ground. Take the alternative via Fuen Blanca. 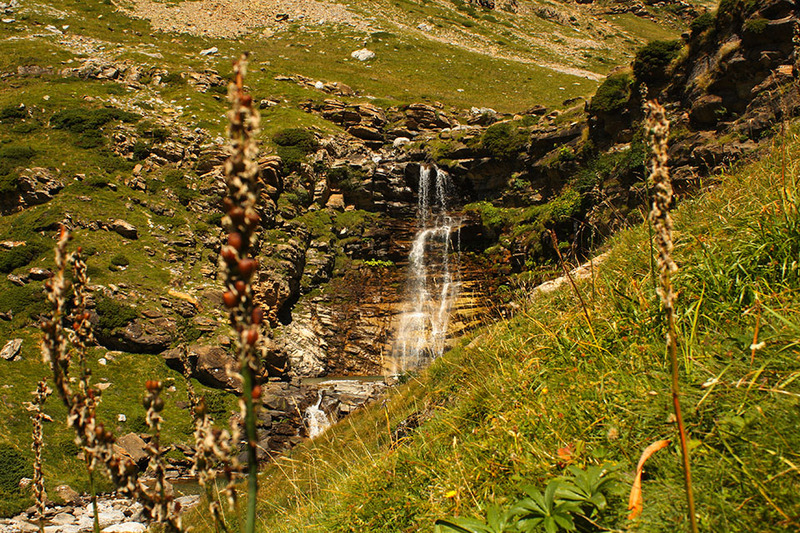 (0h00min; 0,0kms) Refugio de Góriz (2200m). 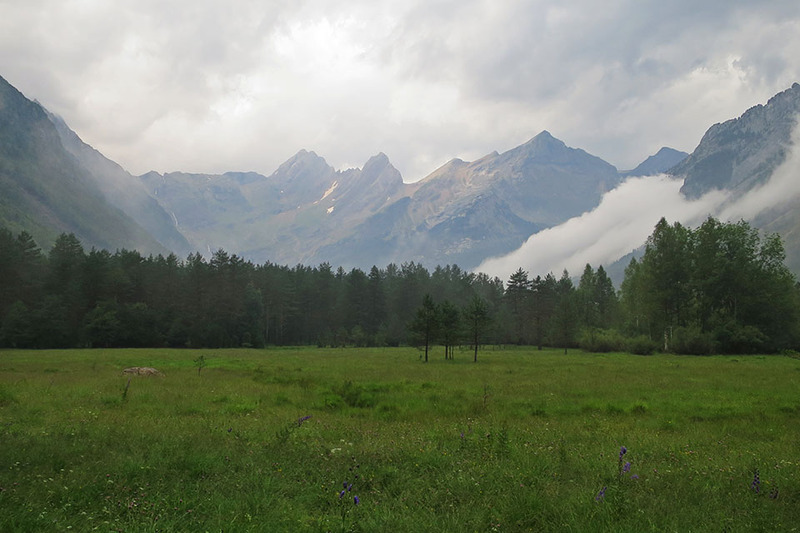 A number of trails set out in all directions from the refuge. 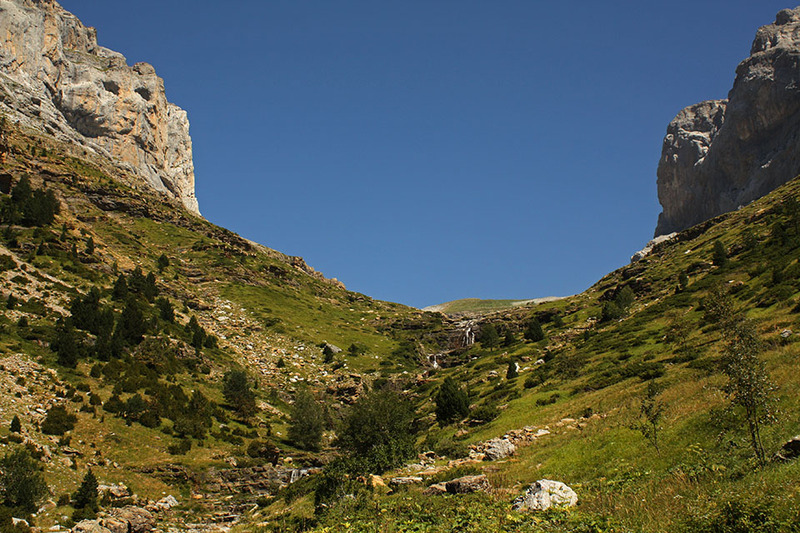 You take the south-easterly path that climbs gently and passes the meteorological station, along the mountainside towards Collado de Arrablo or Góriz, between Punta Custodia (right) and Monte Perdido massif. - Via Faixa deras Solas. This is the more difficult option. There are a few aerial passages that, although equipped with lines, would be best avoided in snowy or adverse weather conditions. Climb towards the left in a north-easterly direction, below Morrón de Arrablo as far as Faixa deras Solas (Faja de las Olas), a terrace in the middle of the wall, along which you walk round Punta de las Olas. Almost at the end, there is a break in the wall, and you climb without difficulty a section equipped with a chain, then you head to another more hazardous downhill section of stone slabs, also equipped with a chain. The path now descends effortlessly towards Los Maquis col (2,456m), skirts Punta del Valle (2,501m) and heads on to Collado de Añisclo. - Via Fuen Blanca. 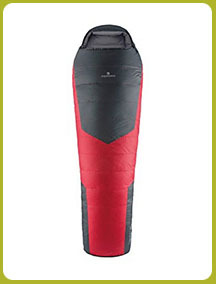 This option is longer and has a greater elevation (-660/+770), but you gain in safety. 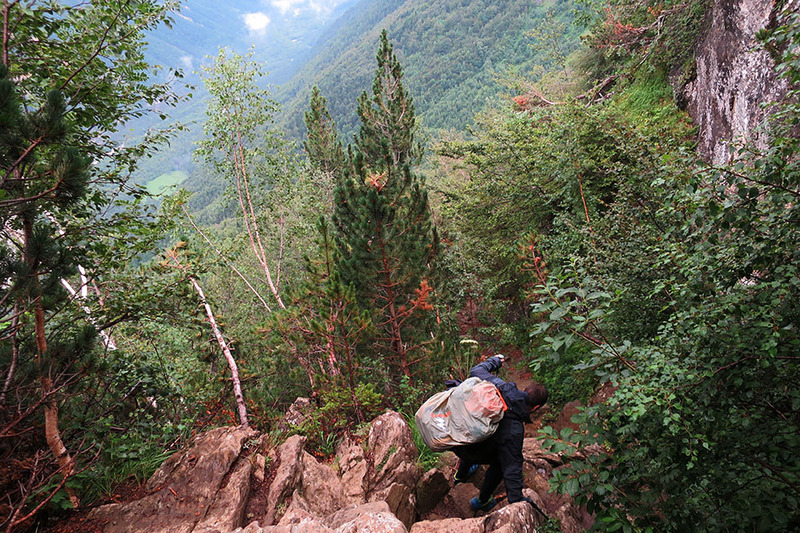 You need to descend through the Barranco de Arrablo ravine until you reach Fuen Blanca (1,680m), just on the section above Cañon de Añisclo, then climb up the valley formed by the river Bellos. (Fuenblanca: 4h50min; 9,2kms. Faja: 3h10min; 7,6kms) Collado de Añisclo (2453m). 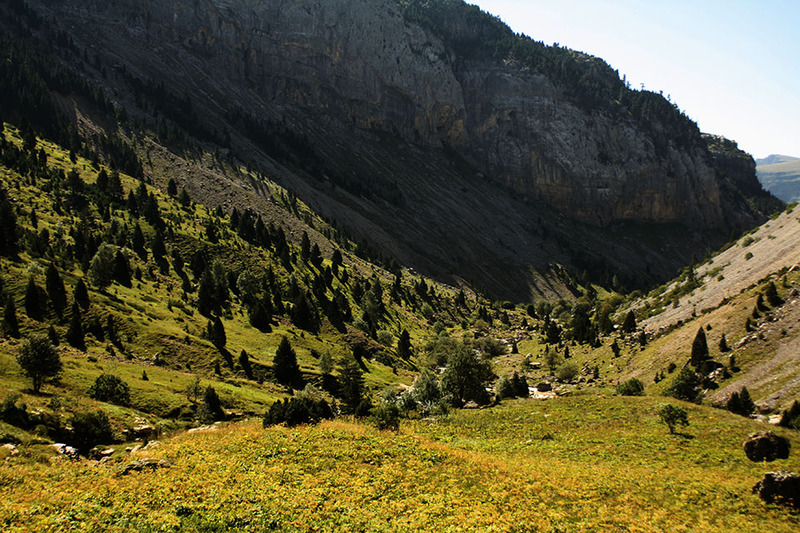 You are about to face one of the steepest descents along the Pyrenees Trail – 1,200m in just 3.5kms – that takes you to the base of Pineta cirque. 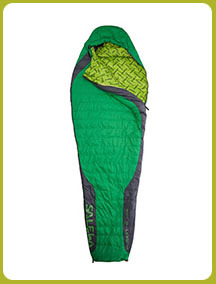 You will be able to fill up with water once you reach Barranco de la Solana. (Fuenblanca: 7h40min; 13,3kms. 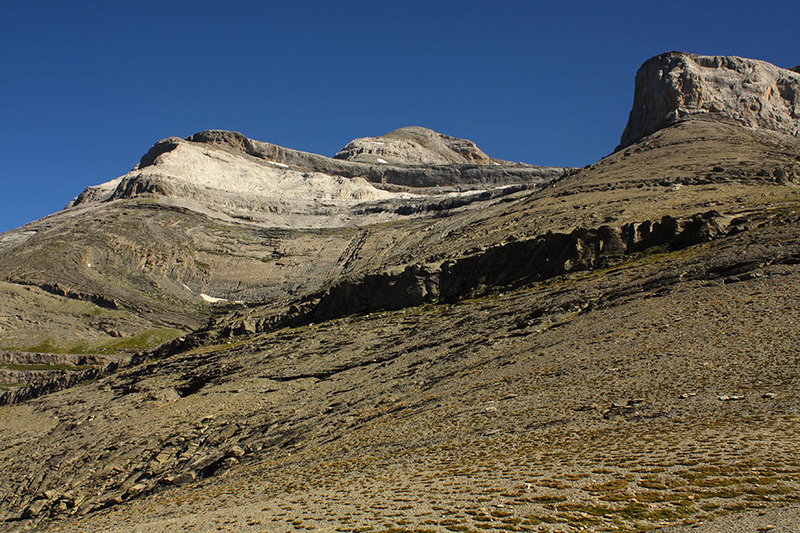 Faja: 6h00min; 11,7kms)Refugio de Pineta (1240m). 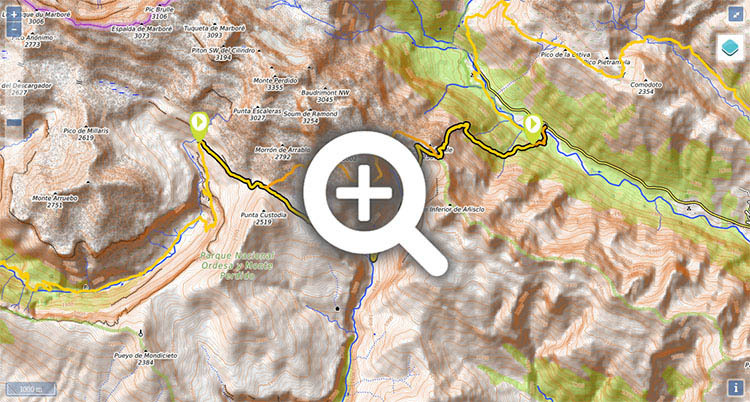 At the beginning of the stage, you have the Refugio de Góriz (). In high season and most weekends of the year it tends to be fully booked, so we recommend you book well in advance. 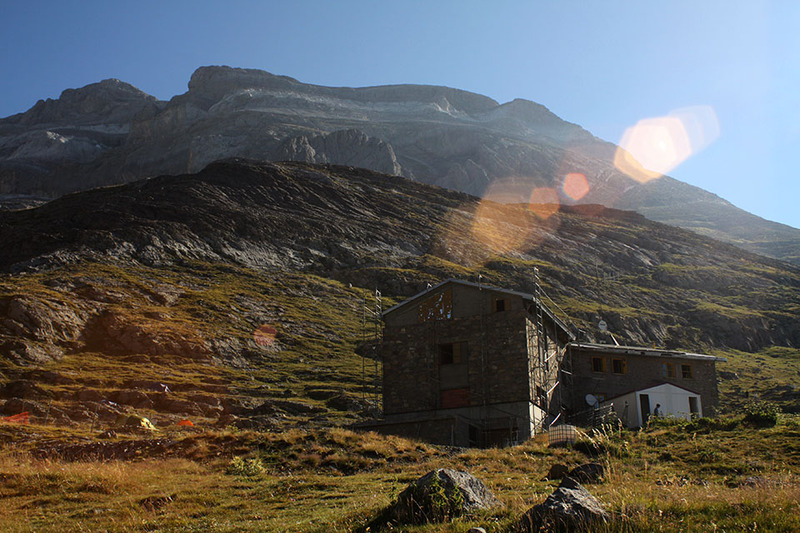 At the end of the stage you have the Refugio de Pineta (). 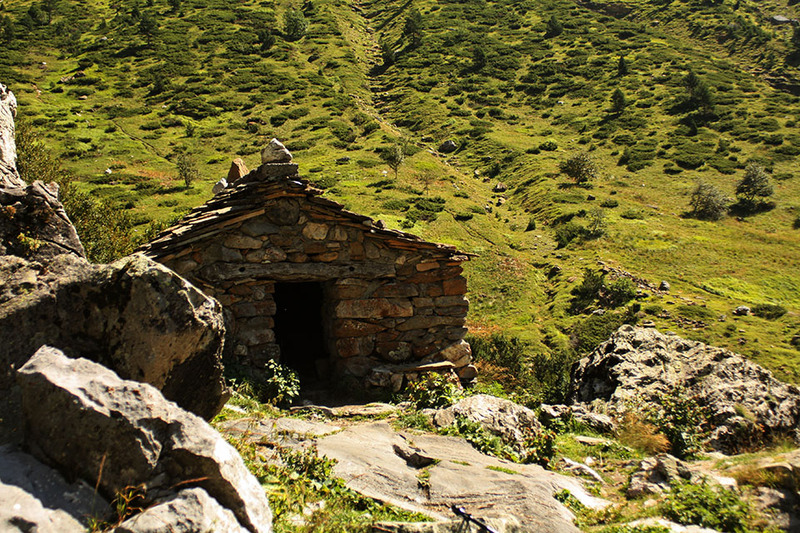 During the stage, along the variant via Fuen Blanca you have the Capradiza free shelter and the Fuen Blanca cabin. 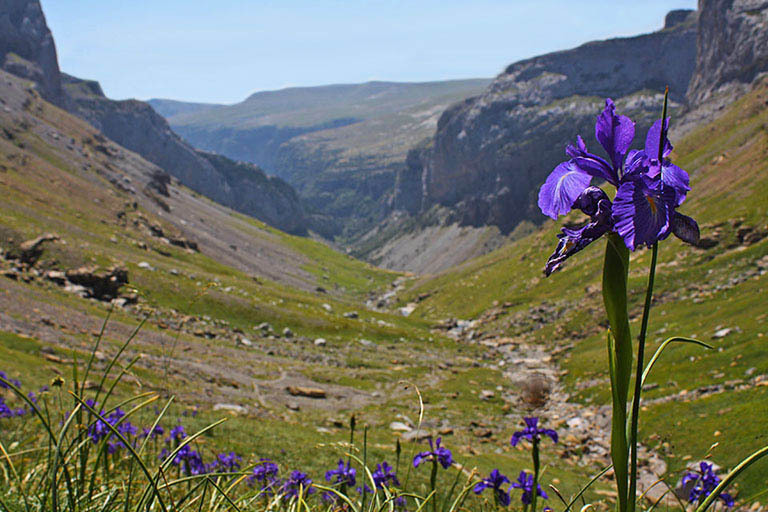 In Bielsa (12kms from Pineta) there is a wide choice of accommodation. 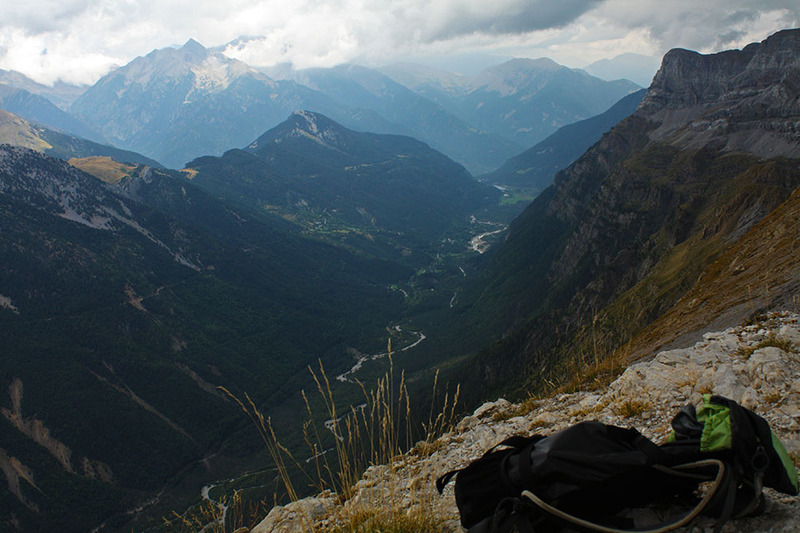 We recommend Hostal Matazueras	(//) , which has a restaurant, and offers discounts to GR11 walkers. They pick you up and bring you back the next day. In Bielsa you will find a supermarket, pharmacy, butcher’s, cobbler’s, health centre or ATM. There are also a number of eateries. We recommend Bar-Restaurante Pineta	(//). Góriz mountain refuge is only accessible on foot. 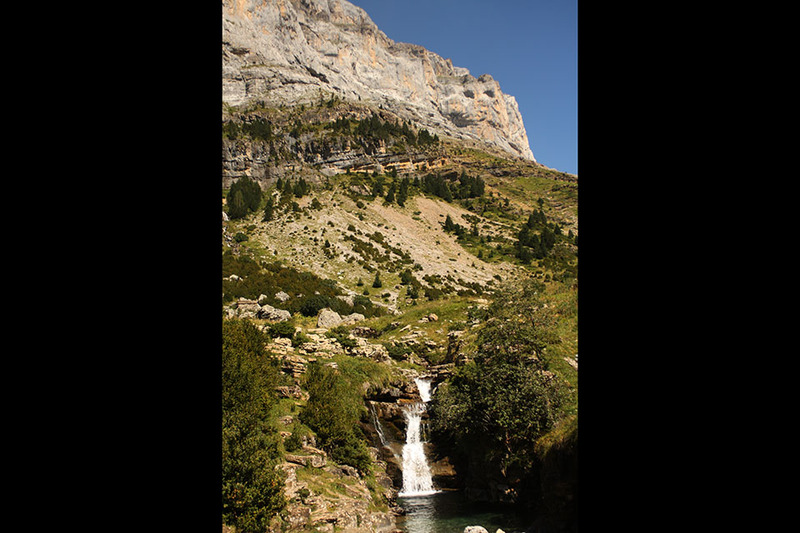 The most common starting point is Pradera de Ordesa (private vehicles are not allowed access in summer. A bus service runs from Torla all day long). 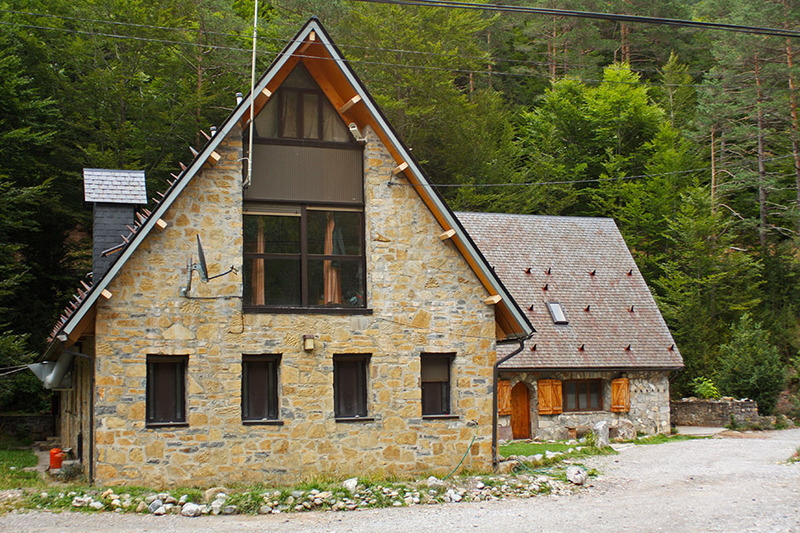 Pineta mountain refuge is accessible by road from Bielsa (12kms). The road continues another 2kms until it reaches the chapel of Nª Sª de Pineta and the Parador Nacional. There are no bus services to this point, so the best option is to take a taxi. Taxis: in Bielsa, Taxis 4x4 Bielsa (/). Buses: there is a bus service that operates from Bielsa to Ainsa (in July and August, one per day in the morning, returning in the afternoon/evening; the rest of the year M/W/F). 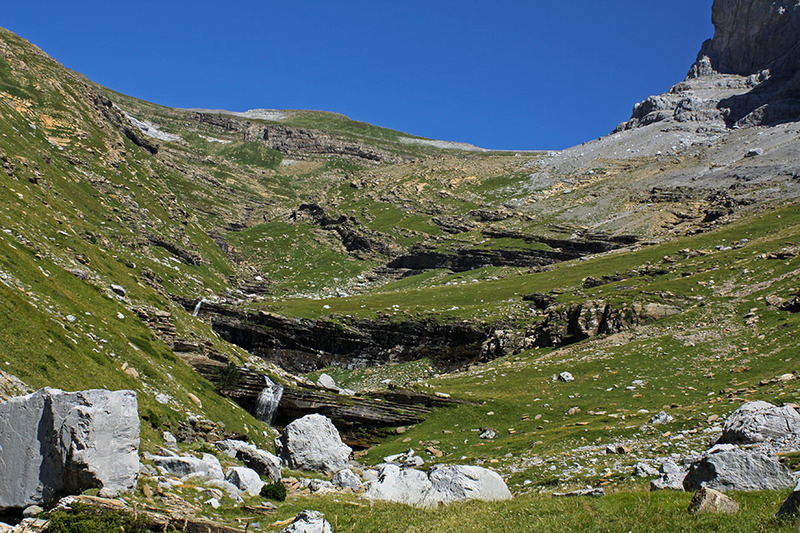 Cabaña en el barranco de la Fuen Blanca. En la Fuen Blanca, haciá abajo el Cañon de Añisclo. 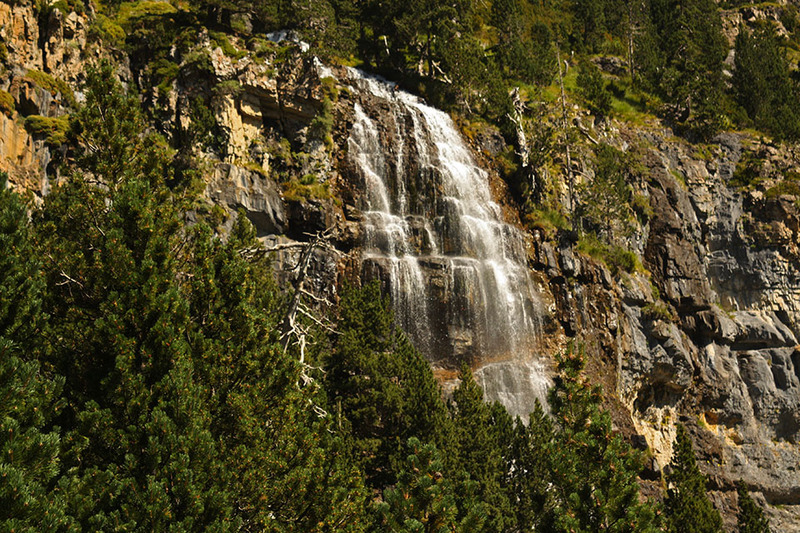 Cascada en el río Bellos. Valle del río Bellos, camino del collado de Añisclo. Escalones en la bajada a Pineta.